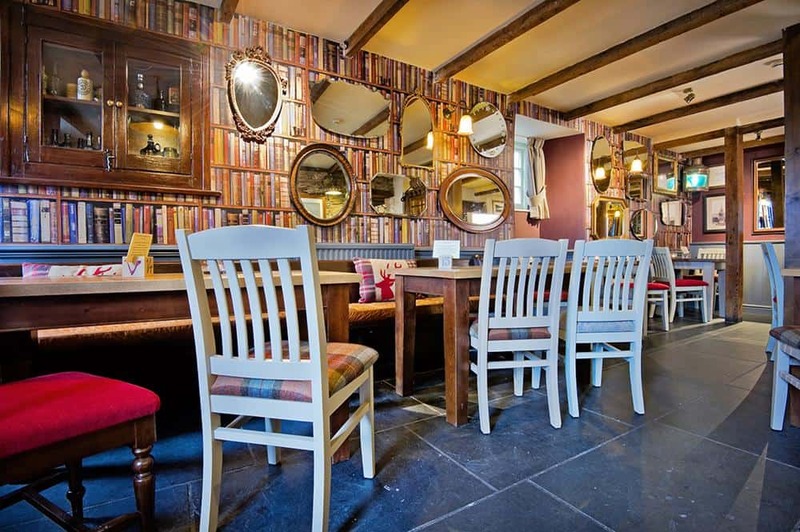 Salcombe’s refurbished Victoria Inn is a real winner! 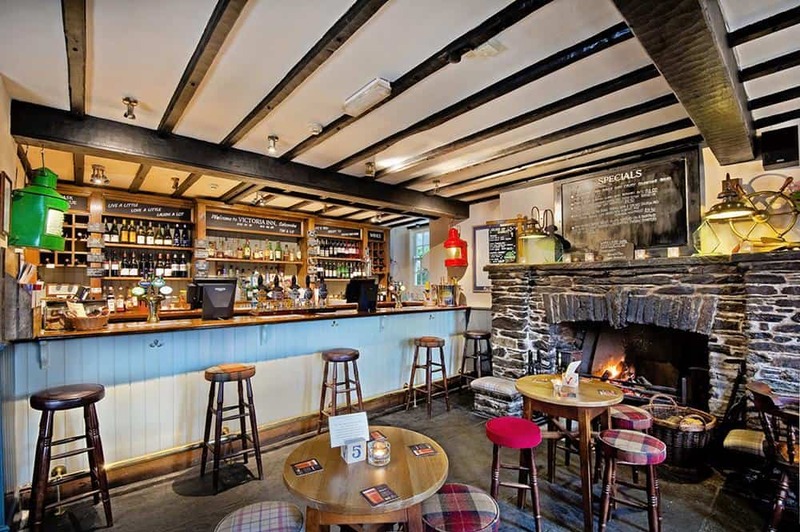 The new look Victoria Inn in Salcombe has been winning a lot of praise recently following it’s recent makeover (just head over to Trip Advisor to see for yourself!) and is now all set for the summer season with a great new menu too! In the very heart of this ever popular waterside town, the Vic hasn’t just had a lick of paint and a new supply of beer mats but a complete renovation, making it a perfect place to eat and drink while on your next holiday in Salcombe. As real ale enthusiasts, the licensees, Tim & Liz, stress that the Inn is primarily a traditional pub so for the sake of argument, we’ll agree… but what a pub! Sure, the downstairs bar is cosy and offers fireside stools and tables from which you can enjoy the cask ales and daily papers. There’s also the downstairs restaurant, known as The Library Room, with ever so slightly more formal seating but the real changes are on the first floor. 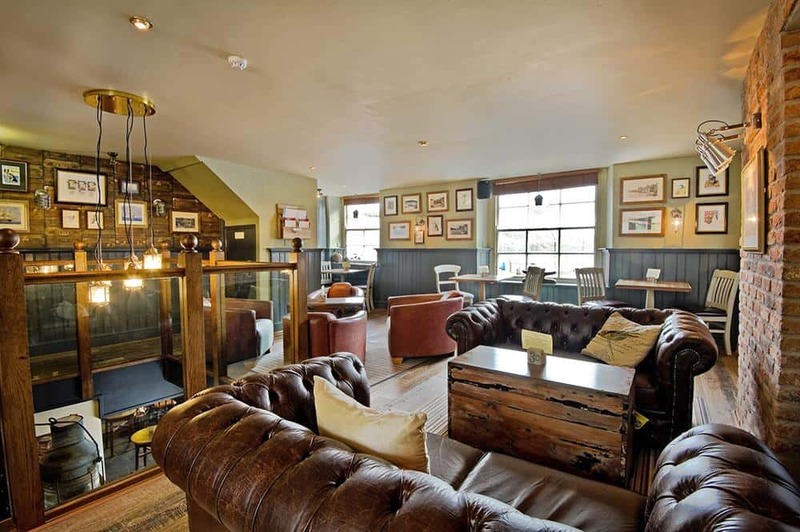 The Vic now boasts a wonderful upstairs dining area with comfy chairs and sofas, larger tables for groups and great views of the estuary, the bar below and also out the back to the pub’s fantastic, terraced beer garden. Wonderful touches include the great array of board games, reading glasses at the bar, blankets, towels and water for the dogs and even a doggy menu from which proceeds go charity! The pub’s food is sourced whenever possible from the West Country and is all cooked freshly to order. The beef, for example, travels less than 5 miles to the plate and is reared on a natural diet, grazing on the sloping coastal fields of nearby Soar Mill, Hallsands and Bolberry. As you would expect there’s plenty of fresh, local fish too and bread from the town’s Frenchman bakery. Of course, the proof is the pudding and luckily it wasn’t too hard for us to find a volunteer to pop into the Victoria to give it a go. Adam Ford, from our Bookings Team, was only too happy to go and try out the food a couple of weekends ago, insisting it was only fair to go for the full three courses as opposed to one of ‘light lunch’ options available. Honestly, the sacrifices we make. All familiar with the old layout, Adam was blown away with the refurbishment and the pubs new layout. Adam added that the work has been done beautifully, allowing for a really pleasant, welcoming atmosphere from the moment you step in through the door. The changes upstairs make it one of the largest pubs in the town with plenty of space available without detracting from the wonderful cosy atmosphere. As for the food, Adam enjoyed scallops with chorizo and cauliflower puree followed by the venison and red onion pie with chips, seasonal vegetables and port wine gravy, proclaiming it all to be “gorgeous”! In his words, “The menu is bursting with fresh, local ingredients and the Guinness was good too” (Again, the sacrifices…). Finally, our brave researcher topped off his dining experience with a delicious portion of the Victoria Inn’s homemade Millionaires Shortbread served with salted caramel and double cream. Adam added that the front of house staff were fantastic and couldn’t do enough to make it a great experience so, all in all, we think he quite liked it. Give them a call on 01548 842604 to book and let us know what you thought!